Fun to make with children. Enjoyable to eat! Cook the lentils until soft. For red lentils this normally takes around 20 minutes. Add the lentils, mince, cheddar, tahini, seaweed and parsley to a food processor and mix to a coarse consistency. Put some flour on your hands and form 4 burgers from the mixture. Heat the oil in a frying pan and fry the burgers for about 3 minutes on each side. 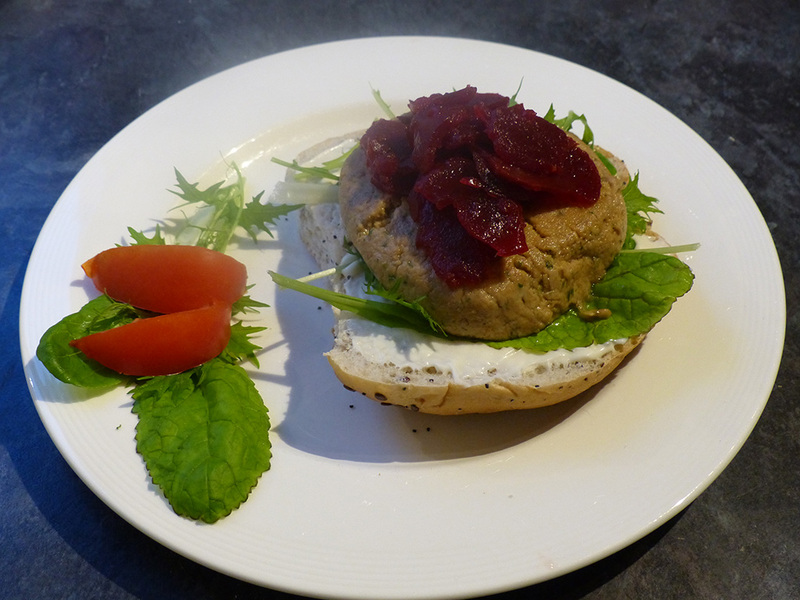 Open the buns, spread with mayonnaise on one side, layer with lettuce, place the burger on top, followed by the beetroot slices.